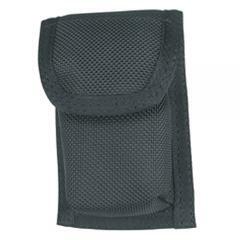 Holds most pagers or two pair surgical gloves. Can this easily fit a spare battery for my radio. If not, is there a product you can recommend. Yes. The pouch will fit items similar to a pager.